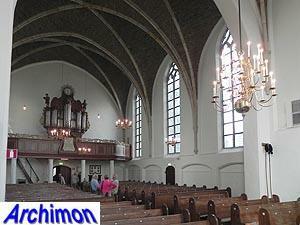 The reformed church is a one-aisled church in Gothic style with a saddle roof tower. 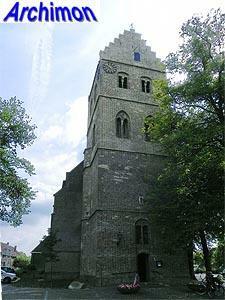 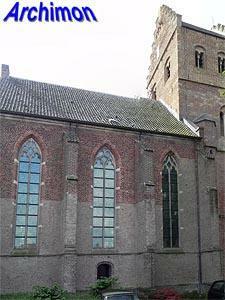 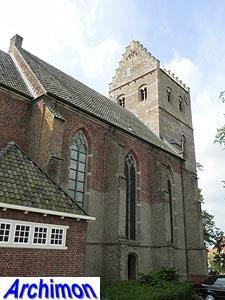 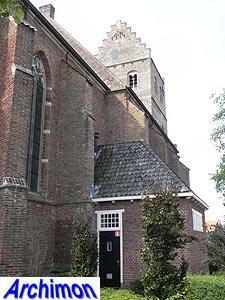 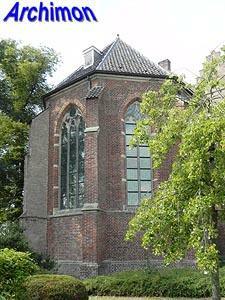 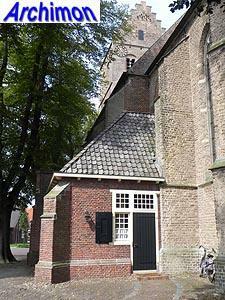 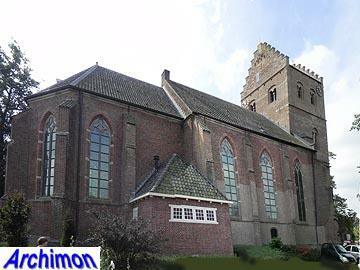 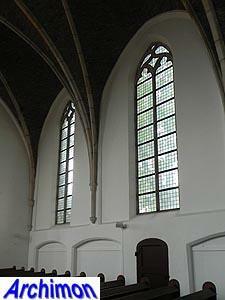 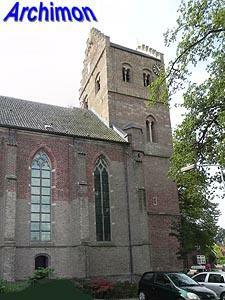 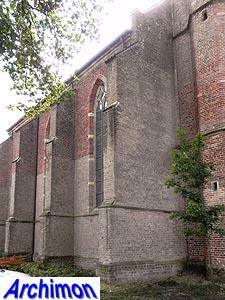 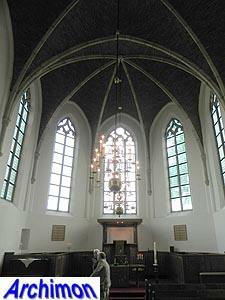 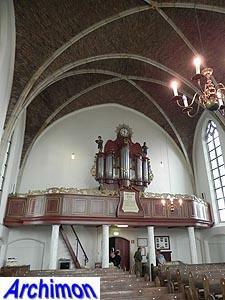 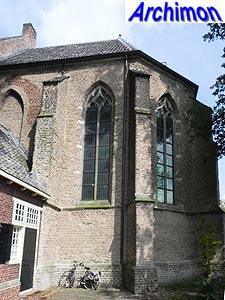 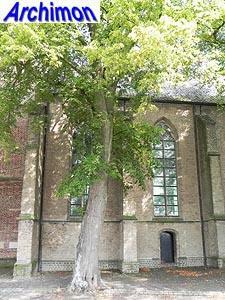 The Geesteren parish was first mentioned in 1246, but little is known about the origins of the church. 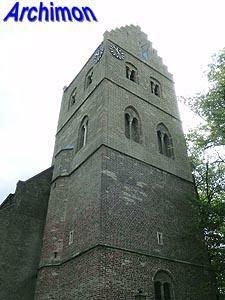 The tower is probably the oldest part and has Romanesque features. 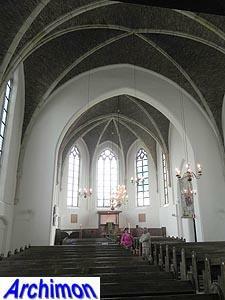 The choir and nave appear to be from the late-15th or early-16th century, of which the choir was probably built first. 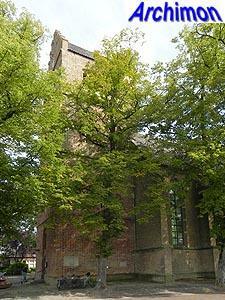 In 1586 troops set fire to the church. 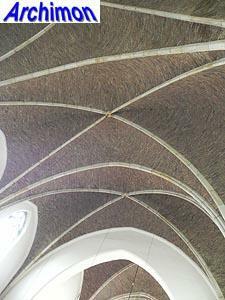 The spire came down and destroyed the roof and vaults of the nave. 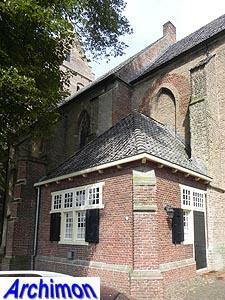 An improvised church was made within the walls, until in 1627-1628 the building was restored. 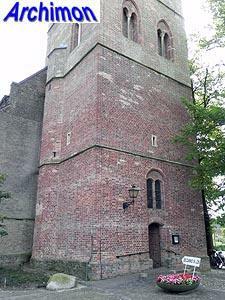 It was probably in this period that the tower was given its saddle roof with stepped gables. 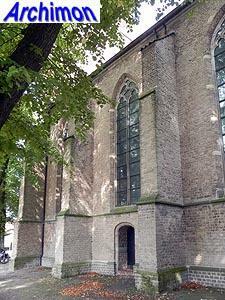 In 1837 a chapel on the south side of the choir was demolished. 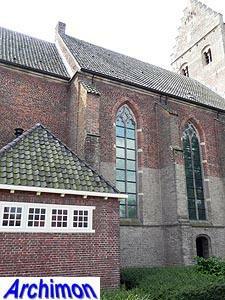 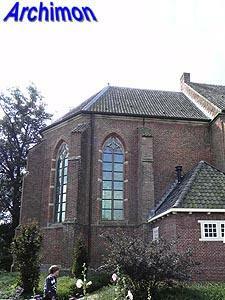 In 1929-1930 the church was restored by architect H. van der Kloot Meyburg who also added a consistory on the foundations of the demolished chapel, as well as a heating room at the north side of the choir. 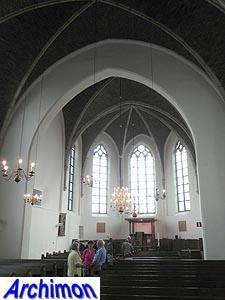 Inside the church, the vaults were reconstructed.